Updated Monday December 31, 2018 by BYB. 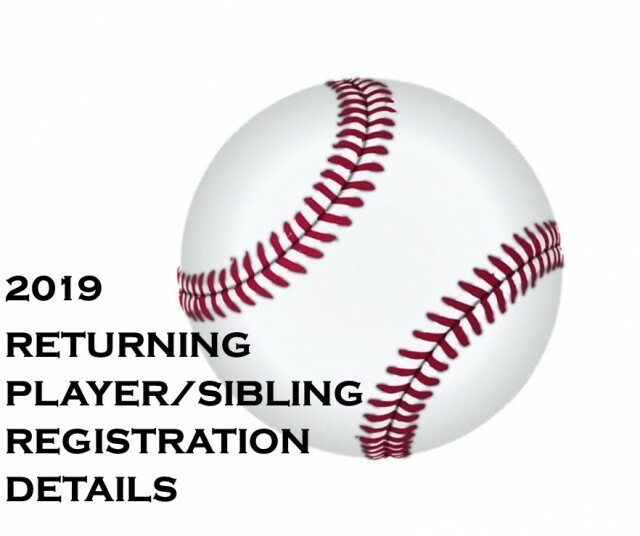 Pre-Registration for Returning Players and Siblings for the 2019 regular season will open on Saturday, December 1, 2018 at 4 pm CST. You may access registration by either clicking on the rectangular "registration" graphic that will be posted at the top of this page, or by simply logging into your account on this site, and registering through the "2019/Active Season" link. All registrations will be processed through the same siplay.com registration system that we have used for the last three years. More details have been included in the family email referenced below. Emails with full details have been sent to families of rostered players from last season. The emails were sent through the siplay.com messaging system, and sent to all email addresses in the accounts that we have on file from last year's player registration. ** REMINDER - Returning Players/Siblings will only be able to register with returning player privileges until 8 pm CST on Friday, Feb 1, 2019. After that deadline, all registrations will be considered NEW, for purposes of team placement. Along with registering your players, during this time frame, we are also soliciting registrations for select volunteer positions: Head Coach (all divisions), Team Coordinator (aka Team Parent - all divisions), and Umpire (for AA/AAA/MAJ divisions). These are 3 very important roles that we have within the league - and they are also the hardest to fill. Our goal is to identify individuals for these roles prior to New Player Registration opening. If you are interested in one of these roles, please be sure to register as a volunteer. Registering does not automatically "make" you take on the role - it is a solid indicator of interest. After you register, our Division Directors will reach out to confirm interest/division/etc - before making assignments. ** BIRTH CERTIFICATE REMINDER: Returning players who show an internal message in their profile or family account inidicating that registration is not complete due to a missing document/file upload (birth certificate) - DISREGARD/IGNORE THE NOTICE. Please do not email the League with regard to any missing birth certificate messages from the siplay system. You will get contacted directly by the League coordinator if there are any issues with your birth certificates on file.